After just two months of following the dietary and herbal programme outlined below, she had confirmation that the retina cancer had reduced by almost half. She went back to the specialist who had wanted to remove her eye. 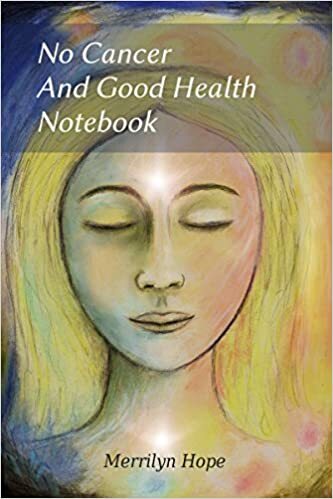 He could not believe that the cancer had shrunk from 5.2 to 3.6 mm in that time, and that her success was due to adopting natural healing methods. There are many different herbs and methods which one can use to reverse cancer: I have elaborated on the Dr Max Gerson castor oil and enema treatment, and those used by Dr Eva Hill, Walter Last, and others, in many posts on this website. Here is an outline of the dramatically effective healing programme adopted by my sister’s friend who had the eye cancer. The combination of herbs she used is worth noting. The maximum allowable dose of Milk Thistle was taken daily. Digestive enzymes for the pancreas. For the immune system: Cat’s claw, Astrigalis worsania, Rodeola, Poke root. She felt it was necessary to eliminate all stress from her life while she concentrated on her recovery, so she took some time off work. This gave her ample opportunity to meditate and give her full attention to her diet and detoxification programme. Prayer and vital force exercises, such as pranayama breathing and meditation were practiced. Along with raw foods, a little fish was used, plus feta cheese and raw egg yolk. No meat was taken. Can Black Walnut Cure Cancer Or Mend Tooth Enamel? Black Walnut is antiviral, antifungal, and antibiotic. It is one of the most powerful of the natural alternative remedies known to reverse cancer. Dr Hulda Regehr Clark, Ph.D., N.D. uses Black Walnut in her herbal recipe which she believes has the capacity to cure all cancers. This herbal recipe, which consists of just three herbs, and its effectiveness in treating cancer. 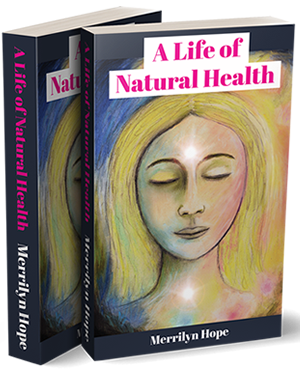 is outlined in her book entitled “The Cure For All Cancers”. The three herbs in her combination are Black Walnut, Wormwood, and Cloves. Of course, a restorative diet and a helpful lifestyle must accompany this herbal cure, if it is to work. And certain chemicals must be avoided at all cost, to ensure recovery. just for the first day. It can be taken at anytime, morning or afternoon. Just divide the doses up so that they are spaced at least an hour apart. Dr Hulga says to take on an empty stomach, or half an hour before meal-times. Put it into any drink, except for coffee or tea or alcohol of course. Second Day of treatment – The dose is increased – Two drops of black walnut is taken four times during the day. Third Day of Treatment – The dose is increased – Three drops of black walnut is taken four times during the day. Keep on increasing the dose by one drop per day, taken four times daily as above, until you have reached 20 drops of black walnut taken four times during the day. You must do this gradually, increasing by one drop per day. Do not be tempted to take a short cut and wham your body with a big dose of black walnut. Don’t know what will happen – it won’t kill you, but it is not the way to go. go, one dose of 20 drops, but you use it only once a day. From now on – One dose of 20 drops of black walnut tincture from now on for three months. First Day of Treatment – Take just one capsule of Wormwood with a glass of water before the evening meal. Second Day of Treatment – Double the dose to just two capsules before the evening meal. Third Day of Treatment – Increase the dose to just one dose of three capsules before the evening meal. Keep on increasing the dose by one capsule per day, but still taking just the one dose of the Wormwood treatment each day, before the evening meal. Keep adding a capsule each day until you are up to 14 capsules taken in the one dose before tea. Take the 14 capsules for just two more days, one dose of 14 capsules each day before tea. Then REDUCE the dose to just 14 capsules taken twice a week. Leave a few days before taking the second dose of 14, and only take the Wormwood twice a week at 14 capsules on each of those two days. Black Walnut is also known as a restorative for tooth enamel, and as a treatment for Lupus. The natural, organic iodine contained in the husks of the walnut make it especially effective in killing microbes which attack tooth enamel. Author MerrilynPosted on February 24, 2015 May 1, 2016 Categories Health, Natural RemediesTags alternative cancer remedies, cancer, natural remedies, tooth enamel1 Comment on Can Black Walnut Cure Cancer Or Mend Tooth Enamel?